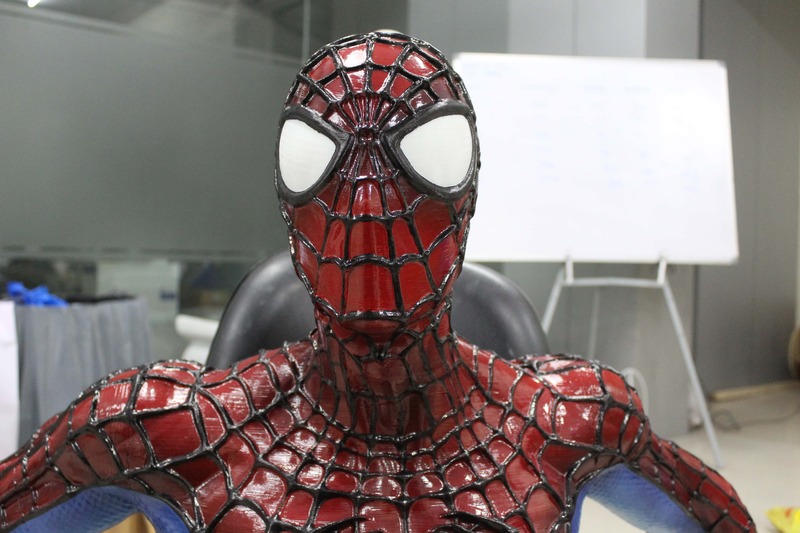 Surat-based STPL 3D Printing – a company offering rapid prototyping & additive manufacturing services, has developed a fully 3D printed 6 feet “SPIDERMAN” sculpture with extreme detail in just one week. 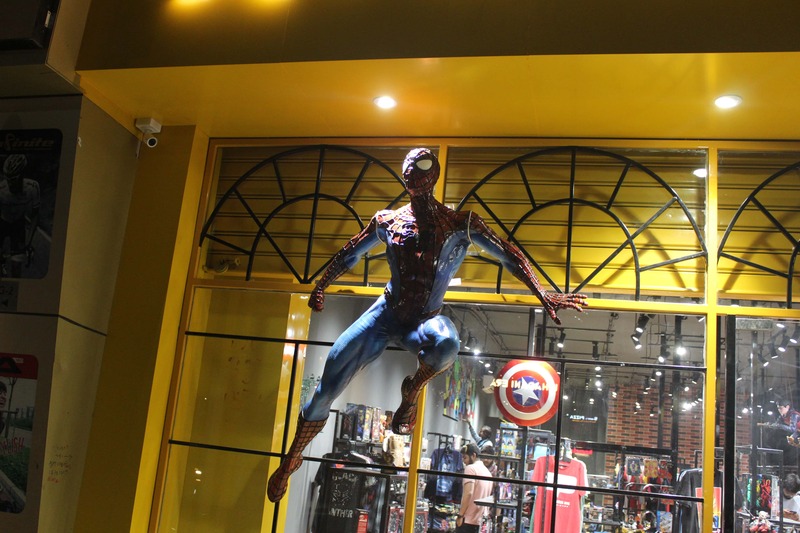 The fully 3D printed model of Spiderman has been created for a traditional fine-arts manufacturer, as it wanted to decorate its new Entertainment store, opened in Surat city of the state of Gujarat, India with this model. By taking the timeline into consideration, the digital team at STPL 3D downloaded an open source file and modified it according to the client’s need, by using Digital Sculpting. The production team took full advantage of the company’s array of 15+ FDM machines so that it could finish the project before the timeline. 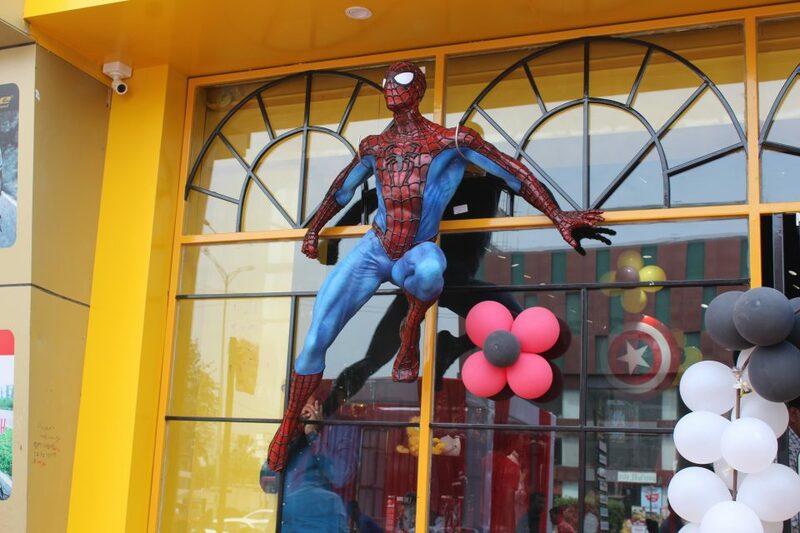 The team divided the 6 feet x 4 feet Sculpture into 30 parts and completed the entire printing within two days, then the post-processing team assembled the Spiderman in three hours with plastic welding and glue to bring it in real shape that was required by the client. Providing more details about the project, Rahul Gaywala, CEO at STPL 3D said, “With 3D printing complexity is free. The printer doesn’t care if it makes the most rudimentary shape or the most complex shape, and that is completely turning design and manufacturing on its head as we know it. 3D printing is going to catapult us into the future, but rather that it’s actually going to connect us with our heritage, and it’s going to usher in a new era of localized, distributed manufacturing that is actually based on digital fabrication”. By completing the project, the artistic and post-processing team at STPL 3D played a major role in finishing the project that had matched the client’s expectation. However, the company was faced with one major challenge of hanging the Spiderman on the wall in such a way that it was good enough to hold on the wall but that challenge was efficiently overcome by the company’s client with its traditional skill and vast experience in the fine arts. The 3D printed Spiderman is a perfect example of fully automated high-quality sculpture production. Because of 3D printing, STPL 3D was able to reduce the production time from from eight weeks to just 4 days. Moreover, the company was also be able to reduce the cost up to 40%, and weight of the sculpture up to 70%. In addition, the textured surface production was also done with no extra effort.